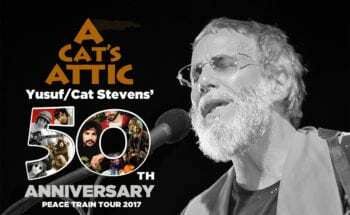 Excited to announce A Cat’s Attic tour, starting September 12th in Toronto, including his first public shows in New York City since 1976. 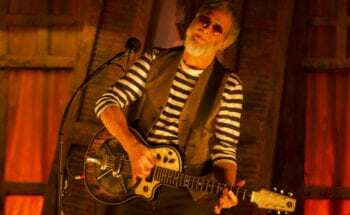 A Cat’s Attic will feature a limited run of stripped-down, introspective performances which coincides with the 50th anniversary of Yusuf / Cat Stevens’ first hit single I Love My Dog, which was released in 1966. 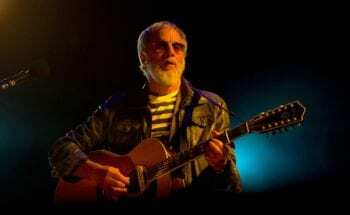 Join Yusuf / Cat Stevens’ fan club, RedRoom, for early access to tickets and exclusive content. The RedRoom pre-sale starts Thursday, August 11th at 10am local time. All tickets are on-sale Monday, August 15th at 10am local time. A portion of every ticket sold (a minimum of $6 per ticket) and the proceeds from VIP packages available for sale will benefit the most vulnerable through long term support to build sustainable futures for children and families. Through Small Kindness, Yusuf’s UK founded charity, donations will be made to both UNICEF and the International Rescue Committee to help children affected by the current refugee and migrant crisis.